Sam’s Chowder House restaurant in Half Moon Bay serves ocean fresh seafood, reminiscent of a New England style seafood house. 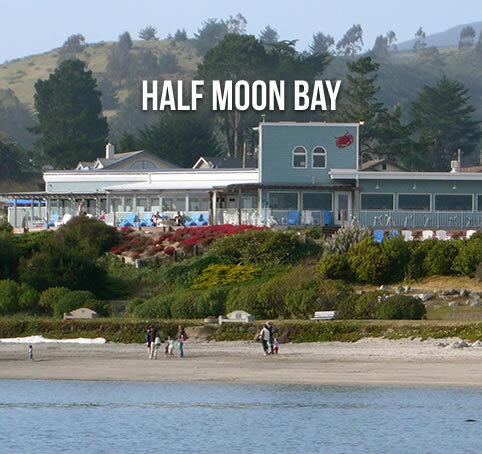 Voted “Best Seafood in the Bay Area” by the 2017 San Francisco Bay Area A-List, and named “Top Three Outdoor Dining Spots in the Bay Area” by San Francisco Magazine,this iconic Half Moon Bay restaurant serves lobster, crab, fish and chips, fried calamari, fresh oysters and clams from the raw bar, and many fresh fish dishes such as salmon and halibut. NBC-TV’s The TODAY Show featured Sam’s famous Lobster Rolls, which were selected by the Food Editor as one of the five “Best Sandwiches in America”. 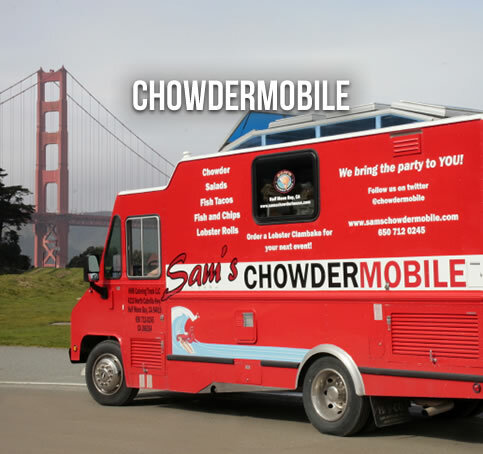 Sam’s ChowderMobile, the first mobile gourmet seafood truck in the nation, serves award-winning cuisine directly to customers in Half Moon Bay and throughout the Bay Area for lunch, dinner, business and social events, weddings, and even Lobster Clambakes on the beach. We’ll see you at Sam’s! © 2019 Sam's Chowder House. All rights reserved.